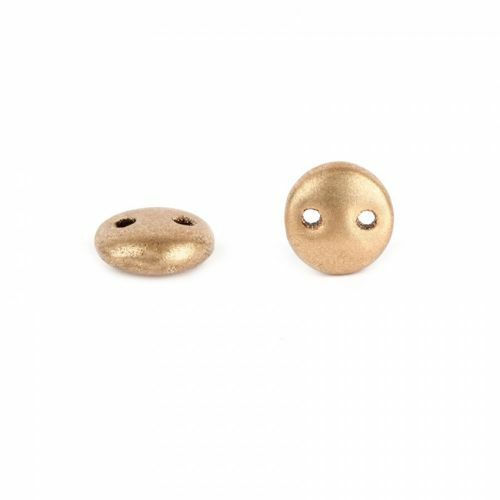 These Preciosa Twin Hole Round Beads in Matte Gold are ideal to use in woven seed bead designs. These twin holed beads are domed on both sides and so will sit beautifully around your neck or wrist – why not try working them into intricate 3-D shapes? The beads are a soft matte gold colour and are ideal for pairing with colourful seed beads in all sizes.